For decades Palestine and Palestinians were associated with terror and terrorism. In political discourse and popular culture Palestinians were often typecast as blood thirsty killers. As the great Palestinian-American scholar Edward Said once ruefully observed, “Palestine is a thankless cause, one in which if you truly serve, you get nothing back but opprobrium, abuse, and ostracism. How many friends avoid the subject? How many colleagues want none of Palestine's controversy? How many bien pensant liberals have time for Bosnia and Somalia, Rwanda and South Africa and Nicaragua and human and civil rights everywhere on earth, but not for Palestine and Palestinians?” There are signs that may be changing. A new generation of activists has breathed fresh energy into the question of Palestine. The BDS, Boycott, Divestment and Sanctions movement, has attracted more and more adherents. The pendulum is shifting. 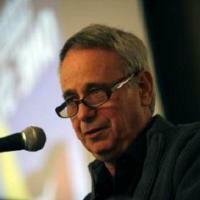 Ilan Pappé is professor of history at the University of Exeter. He was formerly a senior lecturer in political science at the University of Haifa and chair of the Touma Institute for Palestinian and Israeli Studies in Haifa. He is the author of many books including The Modern Middle East, The Ethnic Cleansing of Palestine, On Palestine with Noam Chomsky and The Biggest Prison on Earth: A History of the Occupied Territories.